Bramble Energy was born out of the desire to construct hydrogen fuel cells using existing materials and manufacturing techniques with well established supply chains; thereby solving perhaps the greatest barriers to the adoption of fuel cells; manufacturing complexity and scale-up. The H20 is a 20 W hydrogen fuel cell system suited for supplying power to continuous loads running on 12V or 24V rechargeable batteries such as remote monitoring sensors, lighting systems or security cameras. Looking for something a bit more powerful? Look no further than our 500 W stack for OEM integration. This stack is highly configurable and can be built to your specification. 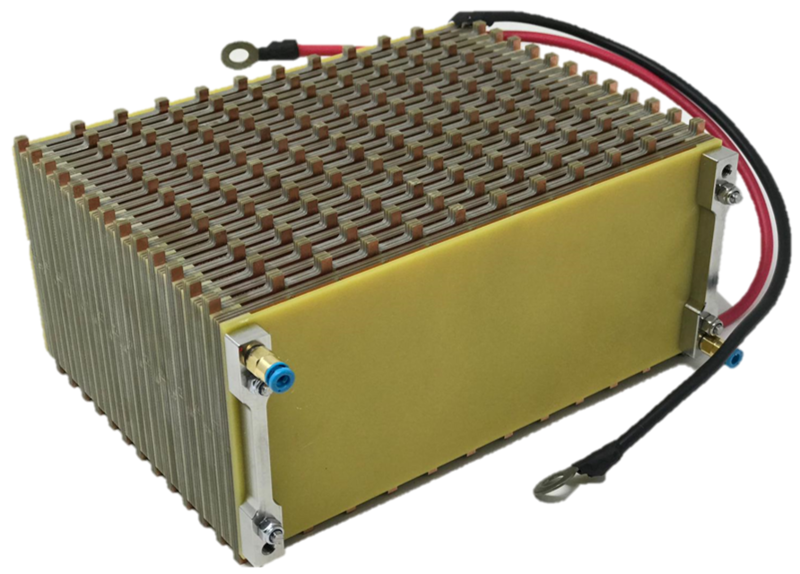 For larger power applications, our distributed, modular and configurable fuel cells can be stacked and orientated in a variety of ways and may just be the solution you’re looking for. Like being a bit different? So do we. get in touch with us to discuss the bespoke design options that Bramble Energy can offer you. Why not delve a little deeper and understand exactly what makes us so unique. Have any thoughts or comments for us? Want to keep track of our progress by signing up to our newsletter? Fill out the contact for below and let us know who you are!